Daniel-Johnson Park: 230 Drummond Street, Granby, QC. Click here to get instruction from your home. Proof of registration or ID card. Roger-Bédard Pavilion, 230 Drummond Street, Granby. To pick up a race kit for a colleague, friend or family member, you have to show his or her proof of registration. The transfer could be done either when you retrieve you race kit or 30 minutes before your race departure time. To complete a transfer, you must go to the Registration Area and have the following information about the new owner of the bib: full name, city of residence and birthdate. If the person is not with you, we also need a written proof of consent (e-mail or letter). The change could be done either when you retrieve you race kit or 30 minutes before your race departure time, at the Registration Area. If you wish to run a longer distance, for instance going from 5K to 10K, you must pay for the difference, in cash or by check. If you want to run a shorter distance, a refund will NOT be issued. You can register in advance by coming to pick up your race kit on the Saturday. You can also do it on the day of the event, up to 30 minutes before your race departure time. Please note that registration fee is payable by check or in cash only. There will be a free cloakroom in the Roger-Bédard Pavilion of the Daniel-Johnson Park for you to leave your personal belongings. Please make sure there are no loose objects. *We are not responsible for lost or stolen goods. Daniel-Johnson Park, the event site: 230 Street Drummond, Granby, QC. Amazoo Water Park: 1282 Boulevard David-Bouchard South, Granby, QC J2H 0Y6. *There will be a shuttle to get from the parking to the event site. **Please allow 15 to 20 min to get to the event site. We do not recommend parking on the streets around the departure line. When many people park in that area, it creates a lot of traffic. If you choose to park in the neighboring streets, please avoid parking at less than 5 meters (16,4 feet) from an intersection. There will be open showers available outside, at the left-hand side of the main pavilion Please note these showers offer no intimacy, as they are outside. A delicious full meal will be served to each participant. The meal includes fresh fruits, spaghetti, sparkling apple juice from Cidrerie Michel Jodoin, juice or water. You may buy an extra meal at the Registration Area or in the main tent. Results will be available online in real time at www.sportstats.ca. They will also be posted on-site on the day of the event. Results will not be official before a couple of days after the event. After each race, there will be an Award Ceremony at the podium for walkers and runners. Distinct medals and prizes will be offered to the first three men and first three women of each race. The prizes must be collected the day of the event. Forgotten prizes will not be sent by mail. Each participant finishing their race will receive a medal. 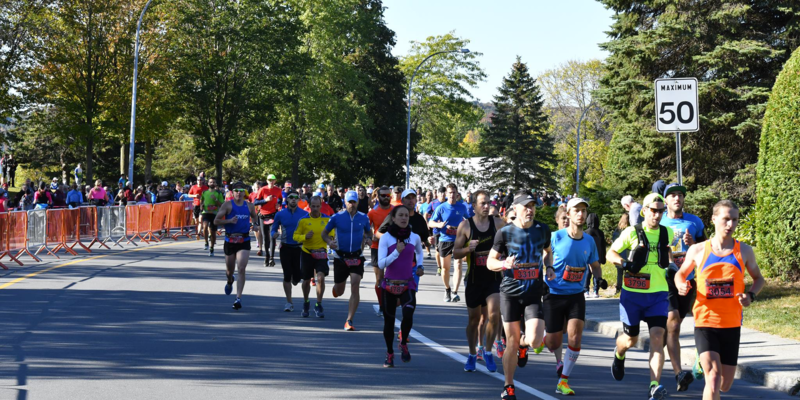 For security purposes and following the recommendation of the Fédération Québécoise d’Athlétisme, we do not recommend that children under 11 years old participate in the 5K and 10K races in a competitive context. 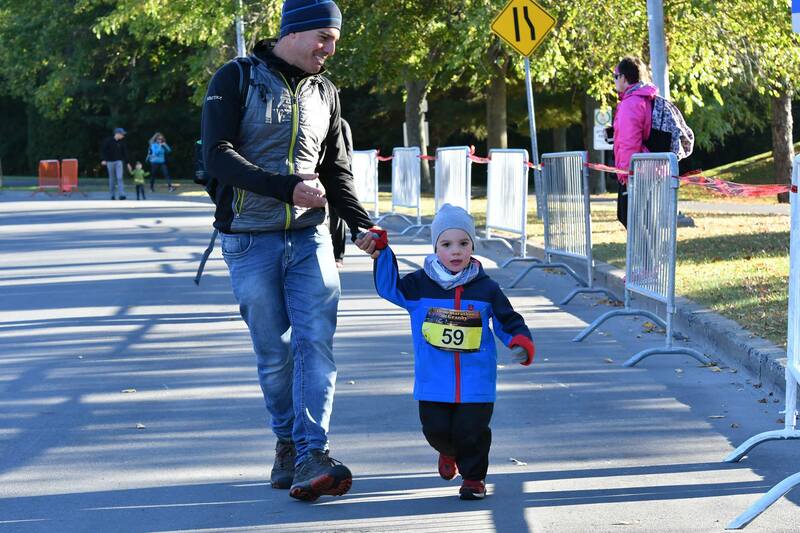 If someone under 11 would like to participate to one of these distances, it is the parents’ responsibility to ensure their child has the required fitness level and adequate training to finish the race, therefore reducing the risk of injuries or fainting. For this reason, all participants aged 19 and less will be considered as part of one same category for the medal presentation. 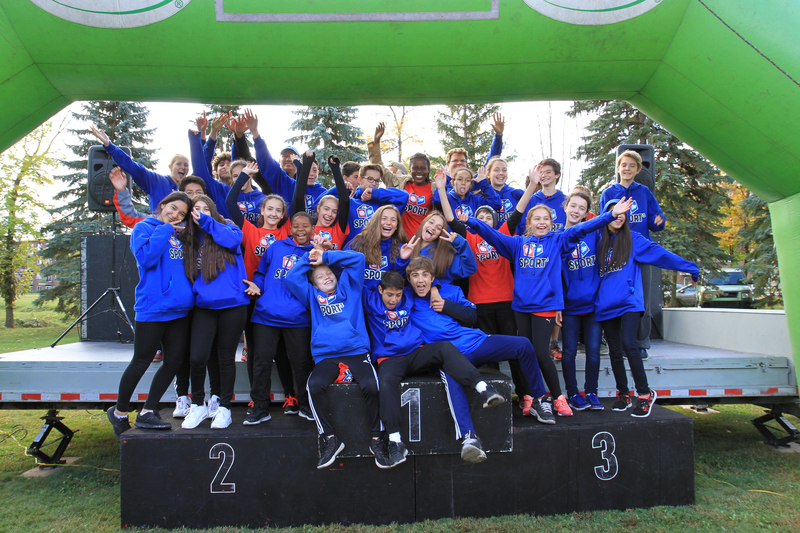 For the 21.1 K-course, also following the Fédération québécoise d’athlétisme’s recommendation, we strictly forbid the participation of children under 14 years old. Because youth’s security is a critical issue for our organisation, we will strictly implement this rule. Therefore, participants under 14 will automatically be disqualified. For this reason, all participants aged 19 and less will be considered as part of one same category for the medal presentation.